Join us May 3, 4 & 5! 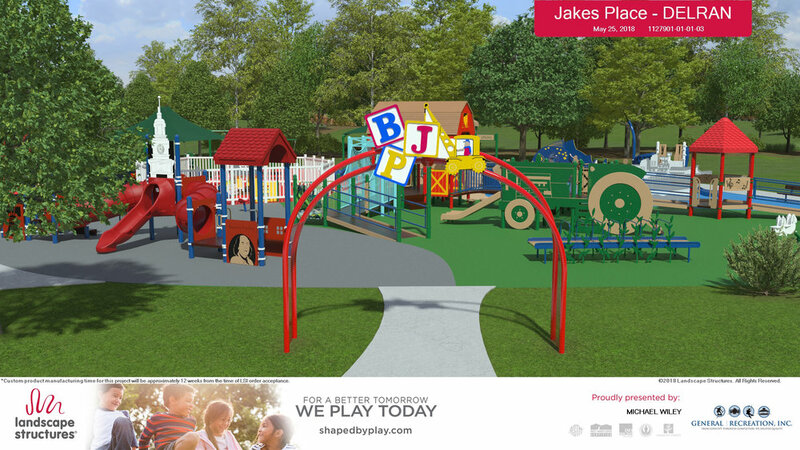 Whether you are a long time supporter or a recent convert to Build Jake’s Place, you can feel the excitement - we’re about to build another much needed all-inclusion playground! This time in Burlington County, NJ. 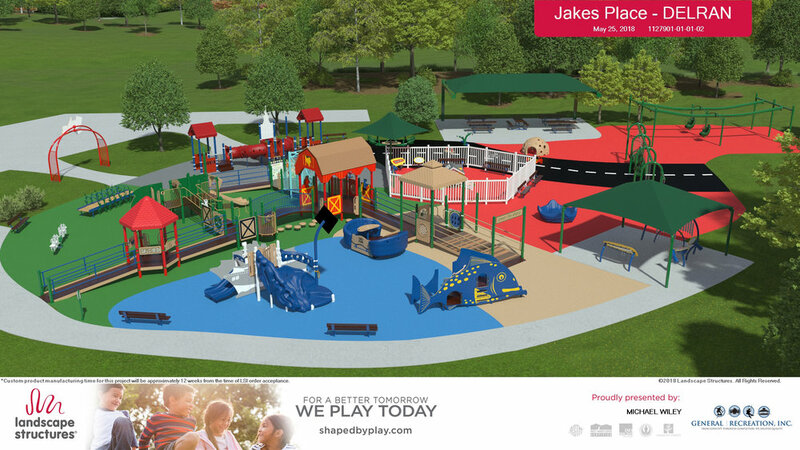 Playgrounds need communities, and we are asking you to help us with this Community Build. Help us hammer, saw, and carry widgets. Even if you’re not quite sure what a hammer is, don’t worry, you can still help! Each team will be led by an expert builder as we sort and put together each component of the playground. Think of it as a huge piece of Ikea furniture. We’ll provide the expertise, food and drinks. You provide the helping hands. *Volunteers must be 13 years or older. **You can also sign up for double shifts or all day. Please fill out our registration form so we can have an accurate head count. Registration is free and the information we collect stays safely with us. Could build a house Could build a bird house Can hang a picture or two What's a hammer? Please choose from one of the day/time slots so we can have an accurate head count. You can select 1 time slot, a double time slot, or all day. And on which days. The choice is yours! Please select Unavailable 7am - 11am 11am - 3pm 3pm - 7pm 7am - 3pm 11am - 7pm All day! SATURDAY, MAY 4, SHIFTS Please select Unavailable 7am - 11am 11am - 3pm 3pm - 7pm 7am - 3pm 11am - 7pm All day! SUNDAY, MAY 5, SHIFTS Please select Unavailable 7am - 11am 11am - 3pm 3pm - 7pm 7am - 3pm 11am - 7pm All day! Thank you! You are now registered for our Community Build event. We thank you for your support and we’ll see you soon. View the Delran Jake’s Place design drawings from Landscape Structures. If you are a part of our Community Build - use #BJPCommunityBuild on social media. The first Jake’s Place Community Build in Cherry Hill, NJ on September 11, 2011. View the location of our Community Build. 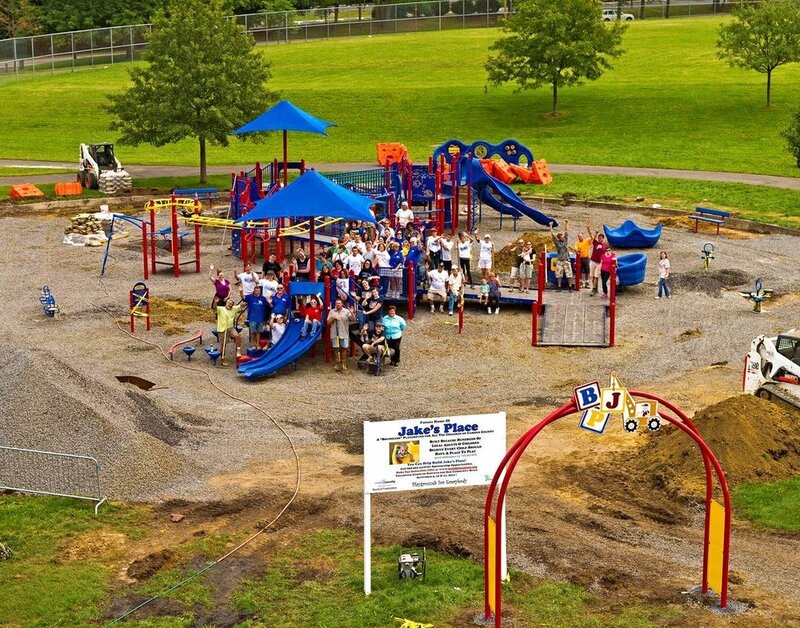 View over 40 highlight photos from our Jake’s Place Cherry Hill Community Build that took place in 2011.